Home girl Bre Zoubek of Wilber, Nebraska is killing it when it came to repping the Class of 2019! We had so much fun celebrating her senior year of high school at Wilber-Clatonia High School through her senior pictures. From the beautiful sunsets to the buggy stream pictures, we took so many gorgeous images and I cannot wait to share more! Also, HUGE thank you for participating in our Senior Model Rep Team, you literally are amazing girlfriend! We’ve got so many different images to share that we’ll be slowly releasing more images throughout the rest of the year. Hayden’s laughter is contagious! He invited me to his farm near Clatonia, Nebraska and I couldn’t turn it down. Here is southeast Nebraska, anytime someone offers me a fresh farm to shoot at, I allllways agree and get excited! So we walked around his grandparents farm, looking at the barns, bins and cattle pens. We checked the beans and even climbed around hay bales. Then, he took me to this magical field where there were fresh alfalfa bales waiting for us. The sun fell perfectly and the perfect mist settled into the air. We got lots of giggles as we sat around the bales and brought out his trap shooting metals. It was seriously, so much fun! Conner has made me laugh and is such a fantastic kid who goes to Wilber-Clatonia High School and is active in so many activities. From Cross Country to Swing Choir, he’s constantly busy and I totally admire how much effort he puts into the community. At his senior session we got busy having fun on the farm, practically going “mudding” getting to a location for some fishing pictures and even pulling his four wheeler out! There’s nothing more exciting than hanging out with kiddos and learning what their future plans are. I have no doubt Conner will do magical things in the future, he is such a great leader! I’ve literally watched Chase grow these past four years and every single time I watch one of the Wittenhagen kids graduate I know it’s one day closer to not getting to see them all the time. It’s official, their last senior is graduating!! Chase came out to the farm near Wilber, Nebraska to shoot in the same locations as his older brother and sister. We did a little bit of hiking through some tall grass to get to an old abandoned car but I think it was totally worth it once we saw the sun shining through perfectly! Thank you Chase for visiting with me, super proud that you’re going into the Navy. Cannot wait to see what you do and the places you go in life! Little sneak peek inside Seth’s senior portrait session! His dad brought this classic Ford out and we couldn’t help but snap a few (ok a lot) of shots with it! Seth, you truly are a fantastic kiddo and it’s been great getting to know you. Can’t wait to dig into your session to work on editing more of these. Southeast Nebraska sure does have some amazing locations including this one outside of Clatonia, Nebraska where we took some his senior photos. Little mister Waylon came down from Lincoln, Nebraska for his Newborn Photography Session and to visit and showed me how perfect he can be by sleeping the entire time! He loved being wrapped tightly and was so content when mommy and daddy wanted to take pictures with him. I cannot wait to watch you grow!! Kelsey (Homolka) Nerud is a photographer located near Dorchester, Nebraska and serves the surrounding communities including Wilber, Crete, Friend, Geneva, Milligan, Exeter, Daykin, Western, Plymouth, DeWitt, Fairbury, Diller, Odell, Wymore, Beatrice, Hickman, Princeton, Lincoln, Courtland and everywhere in between. At Dirt Road Photography we specialize in capturing timeless High School Senior Portraits, and Family Photography Sessions along with Newborn Photo Sessions. Kelsey strives to make each photography session a fun and memorable experience while including seniors or families in an enjoyable shoot watching the golden sunsets here in the midwest of Nebraska. We love traveling southeast NE to serve our senior clients and capture the summer and fall of their last year in high school. Families also hold a near and dear piece of our heart as we love documenting the milestones of children and parents connecting throughout their childhood laughter and fuzzy snuggles in timeless portraits to keep and cherish through tangible artwork and printed products. I've shot a few families with sets of twins in photos. But I haven't shot a family with multiple sets of twins until I met the Wehner family! It's been a joy catching up with the Wehner family from Sprague, Nebraska area and seeing how quickly their kiddos have changed in the past two years. As much of a challenge as getting everyone looking is, I'm willing to bet we've got some great ones to pick from! 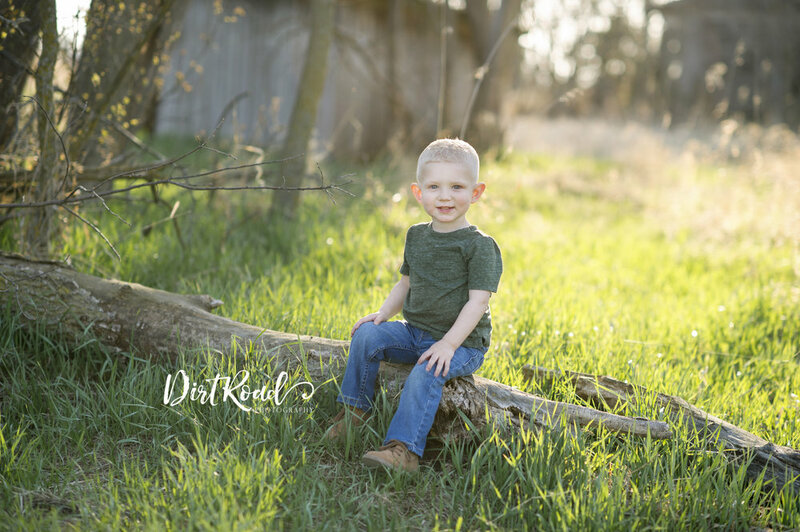 Doing family photography with local clients to the Dorchester, Nebraska area is always such a joy to me. I love meeting new people in the surrounding communities is a fabulous way to get to know new neighbors and friends. Thanks for coming out to the farm Wehner family. A “Rainbow Baby” is the understanding that the beauty of a rainbow does not negate the ravages of the storm. When a rainbow appears, it doesn’t mean the storm never happened or that the family is not still dealing with the aftermath. What it means is that something beautiful and full of light has appeared in the midst of the darkness and clouds. Storm clouds may still hover but the rainbow provides a counterbalance of color, energy and hope. Thank you Caldwell's for coming back. It's humbling that after almost four years together, you still are so loyal and trusting in me to capture your families most precious memories! Little baby Mandy was extra precious, and I am so excited to watch her grow just like her big brother Maddox!